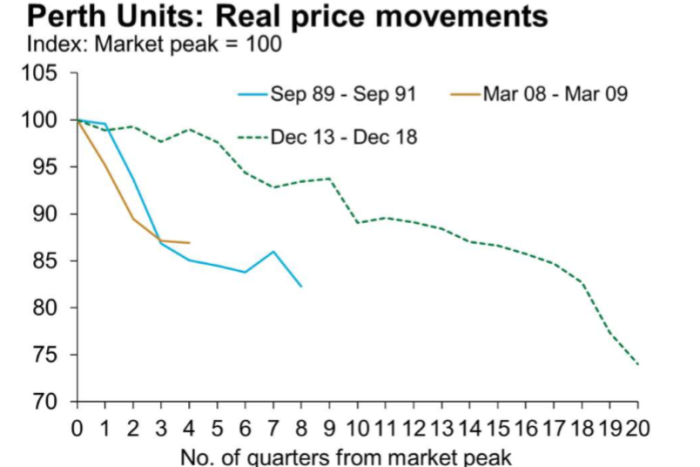 "The weakness in prices and likely concerns about further falls will continue to play on purchaser sentiment through 2019, with further price falls in Sydney and Melbourne expected. 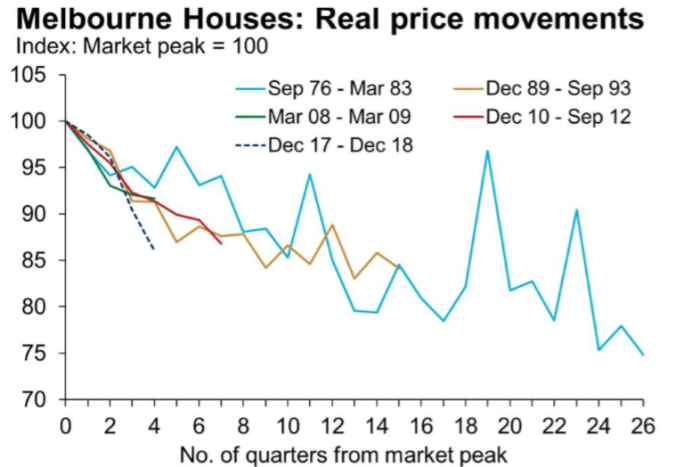 While not yet as big, Melbourne's current real house price fall of 14 per cent has been even steeper, occurring over just four quarters, and is so far the fastest slump on record in that city. 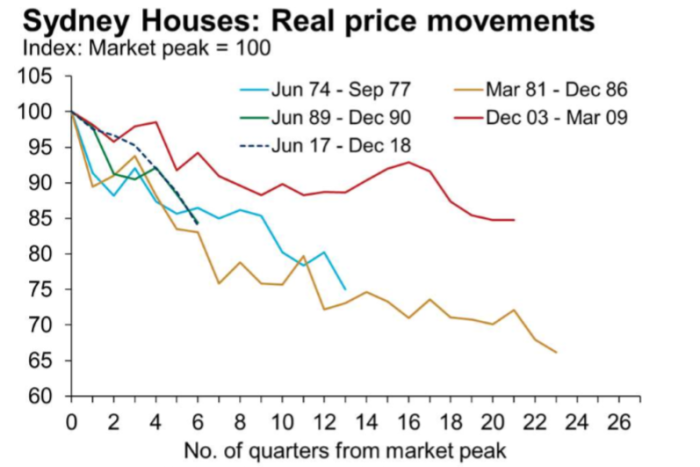 "So far, the period of decline in these two markets has been much shorter than the longest downturn duration and around half of their respective average downturn lengths in both the house and unit markets," Mr Zigomanis noted. "The disparity in the rates of decline between houses (-14 per cent) and units (-6 per cent) has been predominantly as a result of the sharper acceleration in house-price growth in the lead-up to the downturn, with houses rising by 52 per cent in the five years to December 2017, compared with a 14 per cent rise in unit prices," Mr Zigomanis explained in the report. Original article from ABC can be found here.